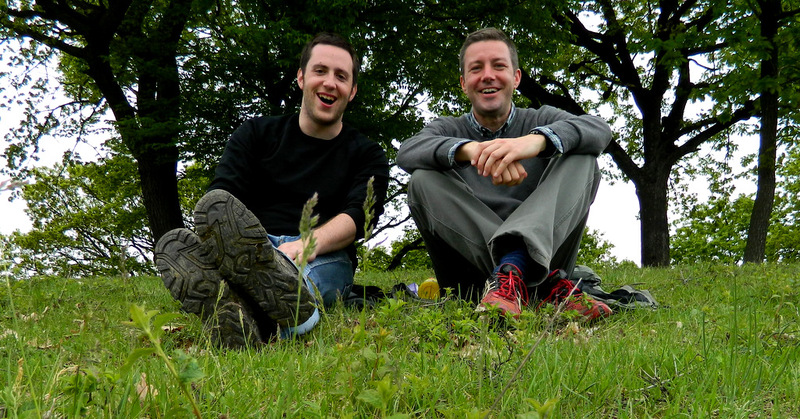 Two guys walk 60 km to eat a soup. 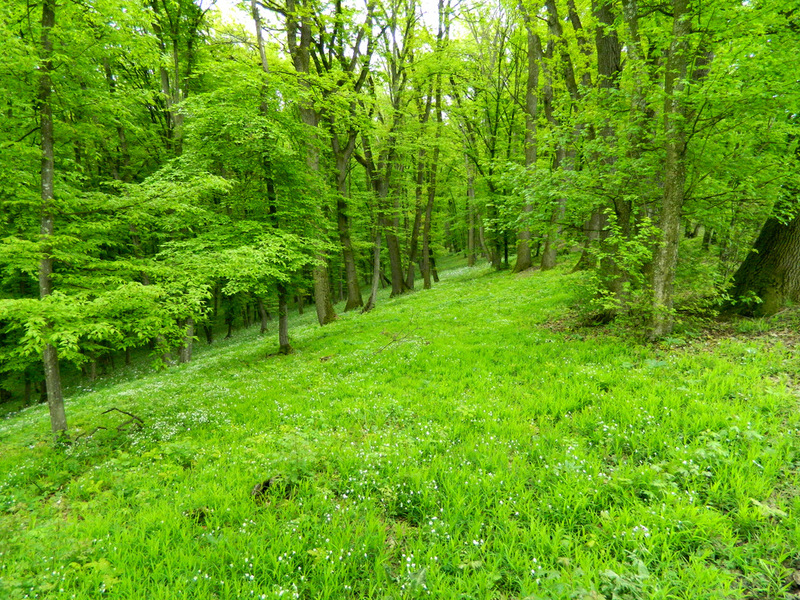 A friend from Târgu Mureș asked me last Sunday if I felt like “going on a little hike to the hills outside of town”. Of course I felt like it. He wanted to hike to Miercurea Nirajului. I didn’t know exactly where that is. So I agreed. Then he enlightened me that the destination was 25 km away and that he also wanted to hike back the same day. 50 km altogether (which would ultimately turn into 60 km because of our detours), which is why we already meet at 7 a.m. on Monday morning. I ask Yaniv if he ever hiked such a distance before. “Not in the last couple of years, but once in the Army,” is the reassuring answer. Already on the first hill up to the zoo we are working up a sweat and gasping for air. Luckily, each of us brought a can of cola, which we empty on the first 500 meters into our endeavor, and even more luckily, it will remain somewhat cloudy the whole day. Bad for taking photos, perfect for hiking. 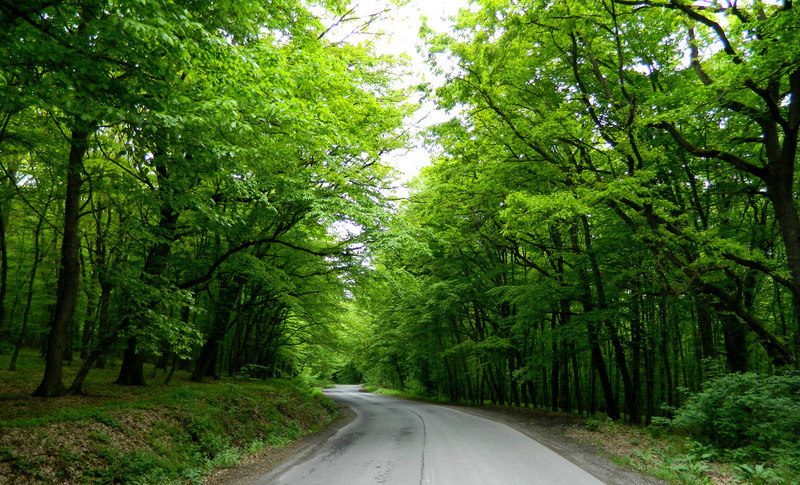 The lush green, the rain-cleansed air and the tranquility of the forest provide us with energy (almost as effective as the cola) and motivation. Work and university, deadlines and exams, all of them are already forgotten. 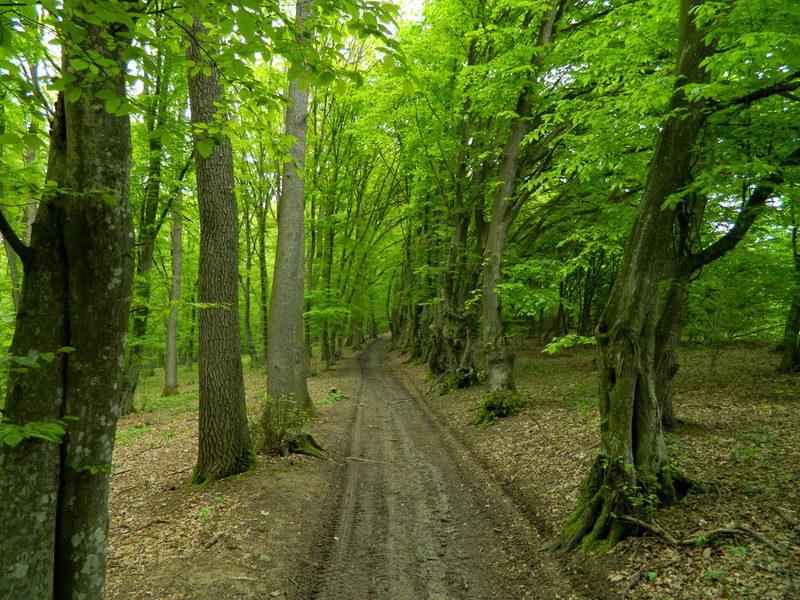 We stroll along old bridleways from the time of the Romans, as whose legitimate descendants some Romanians regard themselves. 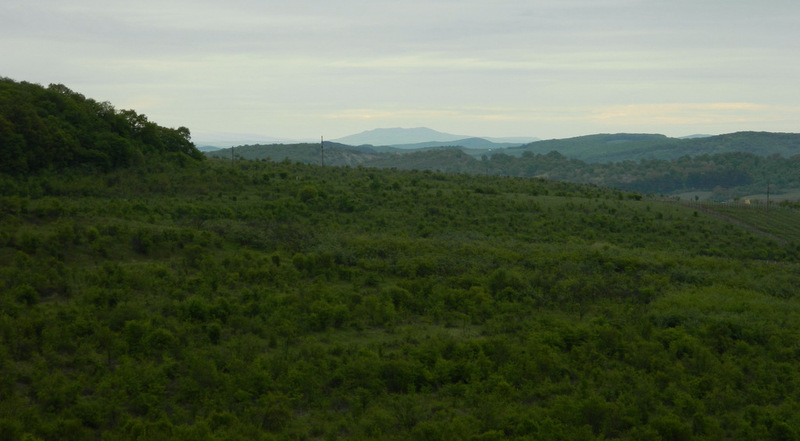 Despite the clouds, one can recognize the mountains in the Szeklerland in the far distance. Somewhere back there is our destination, still many hours away. But first we get into villages that throw us back by decades. No proper roads, sometimes not even a single car in the whole village. Wooden toilet shacks in the garden. Warped houses, many of them looking like they couldn’t possibly be inhabited; but when I want to take a photo of them, someone steps out of the door in exactly that moment. The public wells offer plenty of water for hikers, of whom we won’t meet any others throughout the day. But there is one thing that even the poorest villages have plenty of: churches. Sometimes, there are even three of them next to each other: Catholic, Reform and Orthodox. Unlike residential houses or schools, the churches are always recently painted and well-maintained. It’s obvious who has money and influence in this country. Even Jesus doesn’t want to look at this misguided choice of priorities. 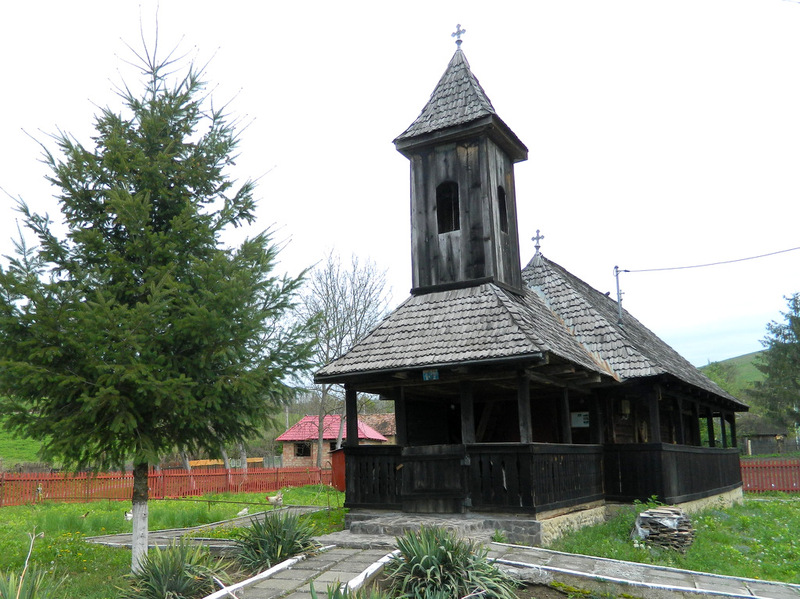 I do however like the wooden churches, likes this one in Sânișor. Outside of that village, we finally discover bear tracks, which we celebrate with a picnic on a nearby hill. We try to attract the bear with the smell of bacon and meatballs, but are too impatient and devour our rations faster than the brown bear can sniff us out. We have been walking for four hours already and our schedule begins to unravel. But the views are too beautiful to not sit down on the grass, linger and enjoy the silence. While emptying a bottle of wine, Yaniv comes out with the reason for his sudden interest in hiking: Two days ago, it was his birthday, and now he feels extremely old and on the descending branch of life. Out of this crisis, the wish was born to check the level of his physical fitness in a long-distance walking manner. In some of the villages we pass through, there are newly erected buildings serving as congregation halls for the Jehova Witnesses, the Seventh Day Adventists or other obscure religions. That’s all that Romanians needed after a long life, full of deprivation and having survived World Wars and communism, in a small village without even a corner shop. I am happy that we are cutting across the country through forests and fields and thus hardly bump into any human beings, because two friendly young men talking away in English correspond to the stereotype of Christian missionaries who have been expanding eastward since the fall of the Iron Curtain. But we don’t want to spread any fear of crusades or exorcisms. We continue past reclusive farms with sheep, horses, cows and dogs. Normally most terrified of dogs, I am slowly developing a sense for which dogs are aggressive and which are more sedate. 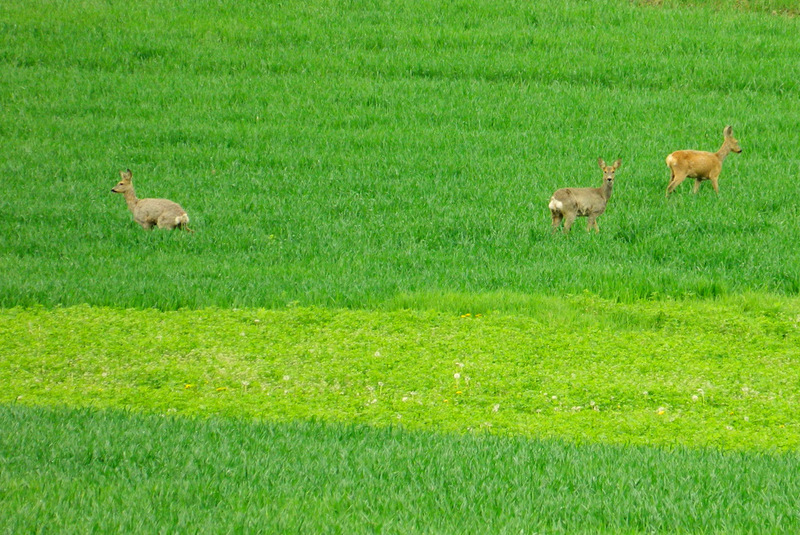 Instead of the bears that we had been hoping for, we spot only deer. 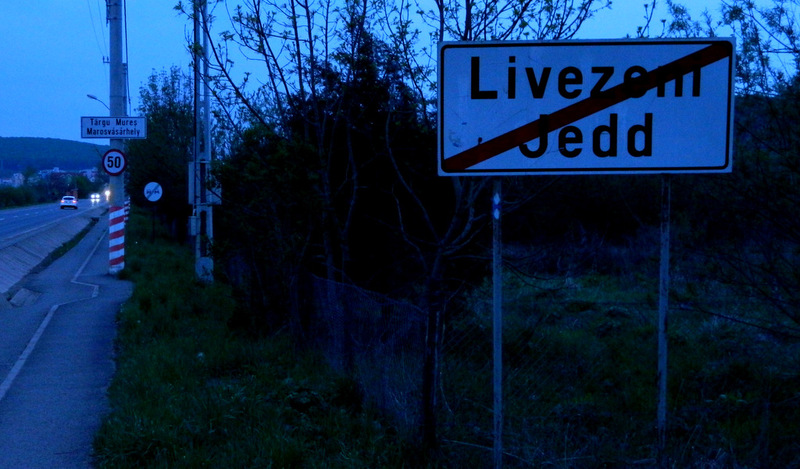 Around 2 p.m., one and a half hours later than planned, we finally reach Miercurea Nirajului. Never was anyone as happy about such a small hamlet as our exhausted legs. We still carry ourselves to the center of town and sit down in the park. Half-time. Our pride in what we have already accomplished is visible. We have covered about 30 km, and we have already made one decision: We will also return on foot. We refuse the services of the bus that dashes from here to Târgu Mureș every half an hour. There actually used to be a railroad line between the two towns. Why has the line been discontinued? Probably it was faster to walk the distance. Even nowadays, the Romanian trains are so slow that you can overtake them on a bicycle. Miercurea Nirajului was actually once an important place. 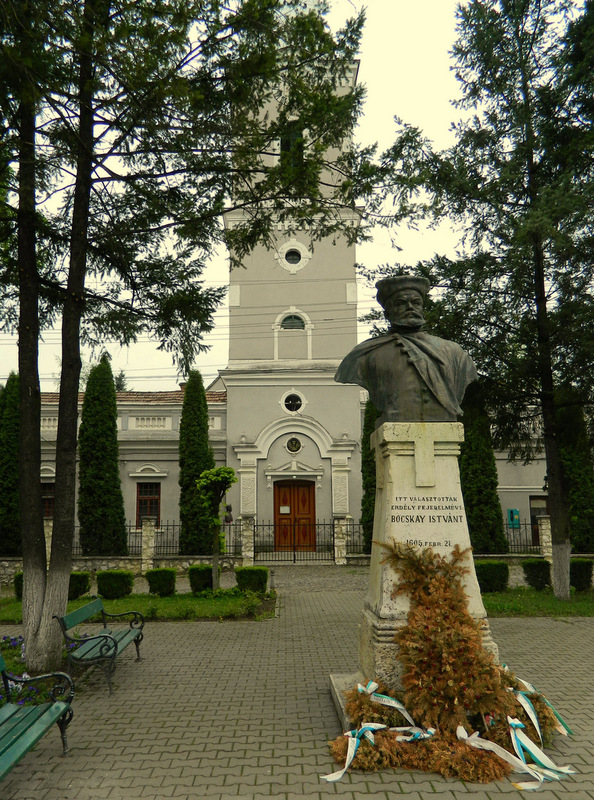 Until the 18th century it was one of the Szekler seats until Târgu Mureș took over that role. Today, the small town with 5,500 people is stagnating without a thought for tomorrow. In the town square we find a restaurant, but no goulash on the menu, which is why we specifically ask for it. The waitress misunderstands our question for the availability of goulash and responds by listing the ingredients of goulash. My mouth is watering increasingly. We order two portions, but soon thereafter we are shocked by the message conveyed from the kitchen that there is no more goulash for today. It’s already 2:30 p.m. We were too slow. Well, then we will have a soup instead. 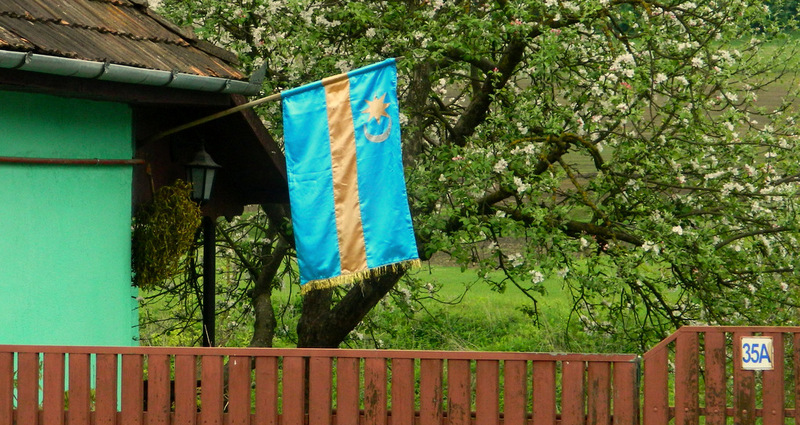 While we are waiting for the soup, I can finally get a few words about the region through which we have been hiking off my chest: the Szeklerland. 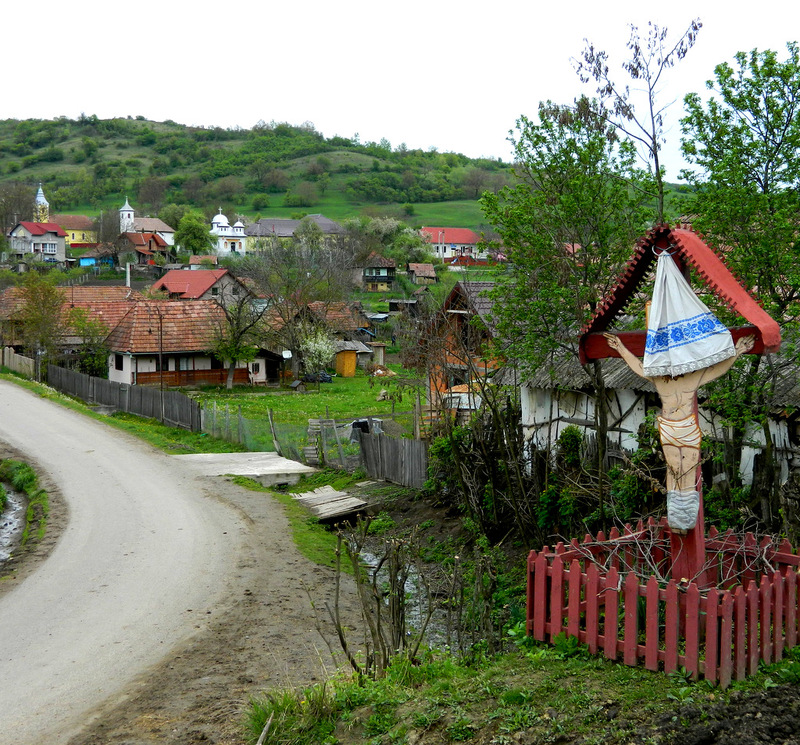 It is part of Transylvania and thus of Romania, but the majority of people who live here are Hungarian-speaking Szeklers. The region changed hands between Austro-Hungary, Romania, Hungary, Romania again and so on. I could get into this subject more deeply, but to the readers’ reprieve, here comes the pot with soup. So this is what we hiked 30 km for and will hike another 30 km back: a pot of soup. And then we even forget to take a photo of it. But it tasted good! In the discussion about which way back to choose, there are two factions: I am for cross-country, Yaniv wants to follow the road. He is probably afraid of bears or at least of the combination of a falling night and bears. In case of a tie, the rule is “safety first”, so I yield. There is not really that much traffic on the roads here anyway, so it won’t make that much of a difference. 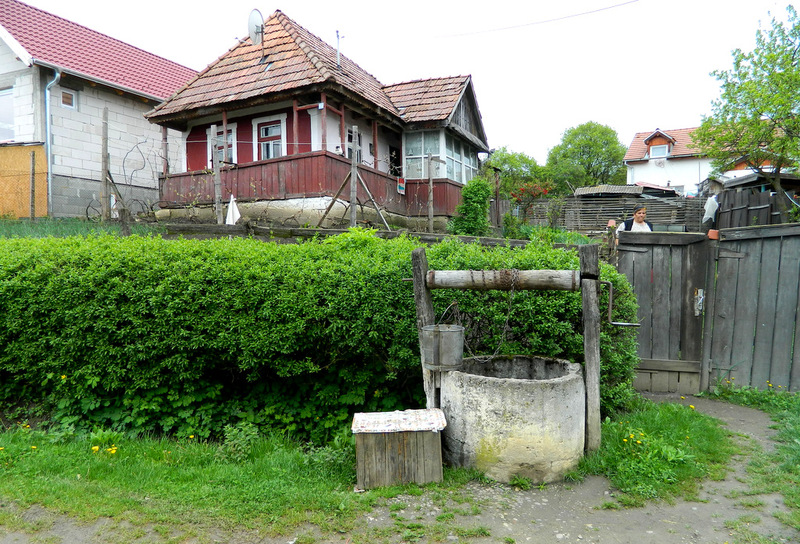 and this is the overly nationalistic Romanian neighbor who tricolorized even the handcart and the chicken coop. But even more suffer those who have neither flag nor anthem: the Romani. My readers in San Francisco or Sydney will already have winced in light of the poverty which the photographs of idyllic villages above could not hide. In the communities of the Romani, neglected by the state and anything from ignored to despised by their fellow men (and here Romanians and Szeklers/Hungarians agree again), it looks worse. The readers won’t see the worst of the worst because in front of almost every house, families were bustling, poor in material terms, but enriched with many children, whom I did not want to take a photograph of without a prior conversation (for which we lacked time and linguistic knowledge). Yes, this – and much worse – is how people live in the European Union in 2015. But the billions flow to tax-dodging owners of second holiday homes in Greece. Because help doesn’t go where it is needed the most, but where the whining is the loudest. And whining is not for Eastern Europeans. Whining is not for us either, while we plod on, kilometer by kilometer. Our last proper break is near the village of Maiad. After hiking around 45 km, we are still in good spirits and optimistic. It’s remarkable what positive emotional effects such a day in nature has. Try it yourself, folks! We still have two and a half hours until sunset. Now it happens increasingly often that we have to pause because my colleague is running out of breath. Again and again I push us to hurry up because the sun won’t work overtime just for us two hobos. Another 15 km. “When I will be at your age, I want to be as fit as you,” Yaniv finally admits. I am 39. He has just turned 24. And indeed it is getting dusky during our last kilometers and darkness falls just as we reach the city limits of Târgu Mureș. I am surprised how relatively easy it was for us to walk 60 km and how fast we progressed at times. My legs are a bit tired, but I am not yet really exhausted. 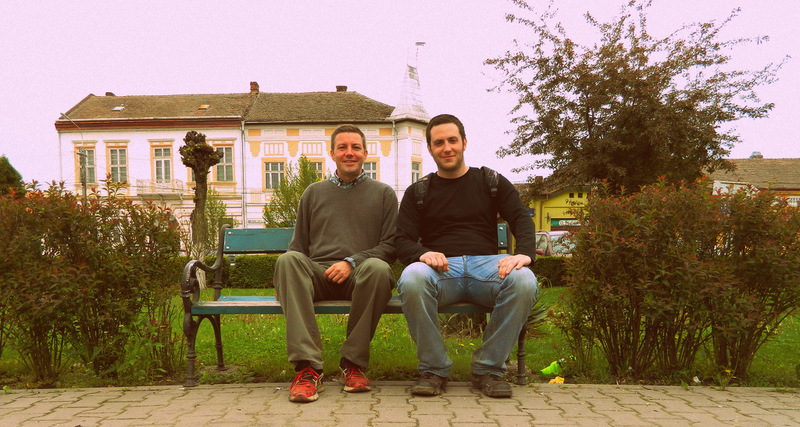 We have both been bitten by the hiking bug and are already talking about walking all the way to Sighișoara or Cluj-Napoca next. When we say good-bye at the bus stop, I am not patient enough to wait for the bus. The remaining 5 km to my home, I am jogging. 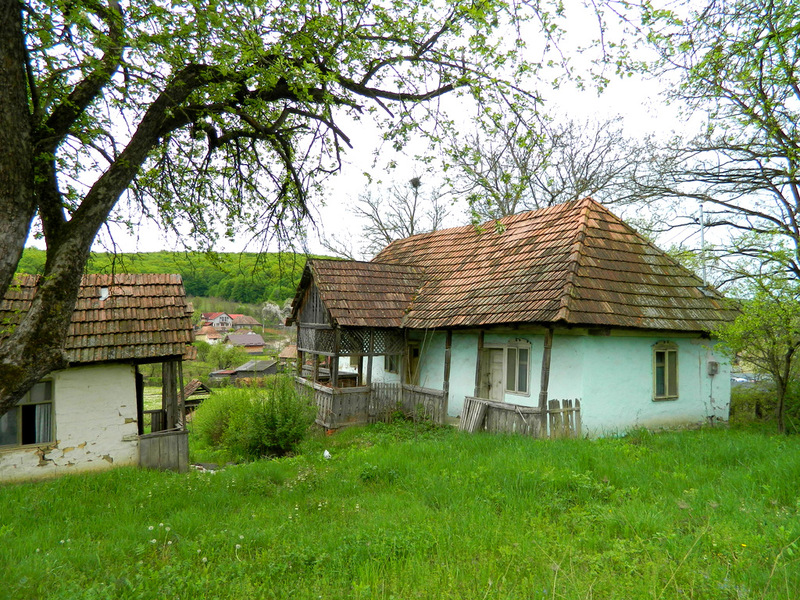 This entry was posted in History, Photography, Politics, Religion, Romania, Sports, Travel and tagged hiking, Miercurea Nirajului, Targu Mures. Bookmark the permalink. 21 Responses to Two guys walk 60 km to eat a soup. Veery nice photos :) Jealous all over again. Nice photos and hiking. By the way, Romani do not need flags or arms, they are free people. Flags and arms create wars. Regarding how people live in the EU in 2015, things do not change to excellent overnight. Romania, Bulgaria should have not been accepted to the EU up until 2025 or later, yet the land grab wants to speed up the events. Only my humble opinion. There is no land grab because Romania and Bulgaria applied to become members of the EU. The EU doesn’t “grab” any countries, it actually makes most of them wait much longer than they want before they can join. 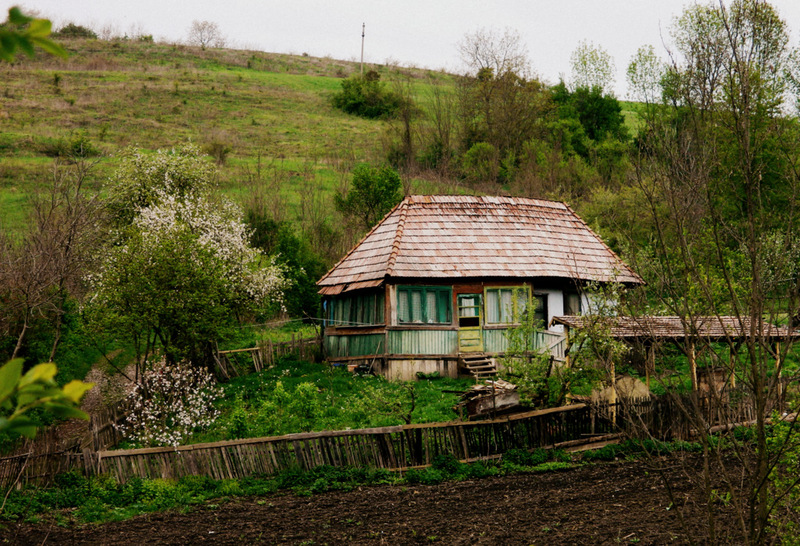 Romania has actually changed tremendously – but it doesn’t reach the small villages, somehow. Rich countries also have some poor villages. True. That’s why I think it’s not representative of a country, but often a sign of political and economic neglect of certain rural areas. This has to be the greenest landscape I have ever seen! What a satisfying experience you had – walking is definitely the best way to see the world, and you saw a lot in one day. It was so beautifully green because it had rained the night before. I actually like it much more now than at the height of summer when everything will be dry and scorched.